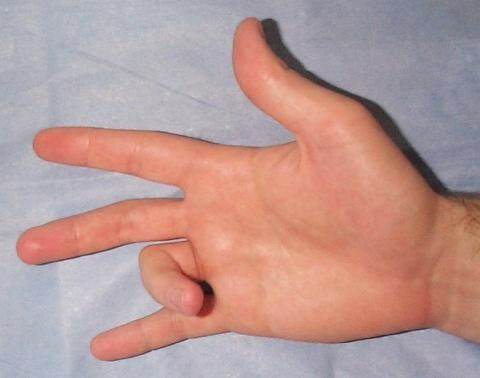 Commonly seen in people over 45 years, middle and ring fingers are usually affected. The affected finger is stiff in the morning, opens with difficulty and with a snap. Often there is nodule in the palm. Treatment is purely surgical. Caused by a forceful injury to tip of finger, resulting in inability to straighten the fingertip.Due to rupture of a tendon. May be associated with fracture. Treatment is by applying a special splint in recent injury and surgical, if the patient presents late. Blunt injury to tip of finger,causes bleeding under the nail, called Subungual haematoma. The pain gradually increases and becomes unbearable in 4-5 hours. Apply ice, take simple pain reliever. Bacterial infection of the nail bed due to poor hygiene resulting in a collection of pus under the nail. Treatment is drainage of pus. It is also called tenosynovitis, condition characterized by irritation and inflammation of the tendons around the wrist joint. Many tendons surround the wrist joint. Wrist tendonitis usually affects one of the tendons, but it may also involve two or more. Often wrist tendonitis occurs at points where the tendons cross each other or pass over a bony prominence. It is a condition that causes pain associated with movement of the thumb. The cause of the pain of de Quervain’s is inflammation within a confined area around the base of the thumb and wrist. 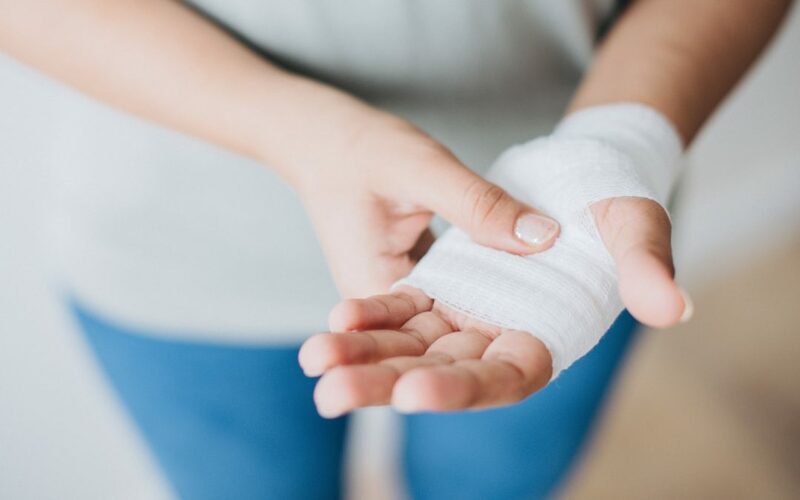 Most patients with de Quervain’s tenosynovitis will find improvement with wrist splinting and a cortisone injection. If the problem persists, a surgical procedure to create more room for the tendon scan be performed. During this surgical procedure the tight tissue around the tendons is cut to release the restriction on tendon motion. Surgery can be performed under local, regional, or general anesthesia. it is the condition that results from dysfunction of one of the nerves in the wrist. In carpal tunnel syndrome the median nerve is compressed, or pinched off, as it passes through the wrist joint. Carpal tunnel syndrome is a disease of the hand characterized by numbness, tingling, pain, and weakness. The disease typically affects the thumb, index, and middle fingers and is often particularly troublesome at night. Many conditions can cause increased pressure within the carpal tunnel and lead to carpal tunnel syndrome. Carpal tunnel syndrome is diagnosed based on the complaints of the individual combined with physical tests and often electrical studies. Anti-inflammatory medications such as ibuprofen may provide some relief but are unlikely to cure carpal tunnel syndrome. Direct injection of steroid medication doctorinto the carpal canal has been shown to be an effective treatment for some people with mild carpal tunnel syndrome. When nonsurgical treatment has failed or for more advanced cases, surgical treatment of the carpal tunnel syndrome may be considered. It is a swelling that usually occurs over the back of the hand or wrist. These are benign, fluid-filled capsules. Ganglion cysts are not cancerous, will not spread. It usually arises from outer covering of joints or tendons. Cause is usually unknown but may be attributed to occupation or repetitive injury. It is firm, smooth fluctuant and round. Usually associated with mild discomfort and weakness. Rarely painful. Treatment: counselling rarely requires surgical removal.